A Dutch food writer tries to discover the origins of pom, the national dish of Suriname. Is it Creole, based on the foodways of Africans enslaved to work the sugar plantations of Surinam? Or is it Jewish, brought to Suriname by Dutch Jews? 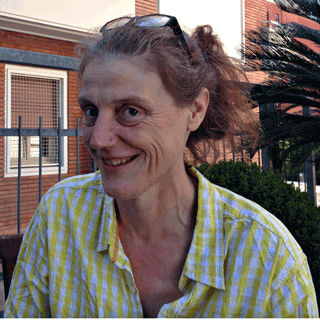 So began Karin Vaneker’s immersion in the world of edible aroids. Aroids are a large and cosmopolitan plant family, more commonly known as the arum family, and they include some of the most familiar houseplants. Many of them have starchy roots or tubers, and although these often contain harmful substances, people have learned how to process them as famine foods. A few species, however, are widely cultivated. The best-known of these is probably taro, Colocasia esculenta, which originated in southeast Asia and spread through the Pacific and beyond. That, however, proved not to be the elusive pomtajer that Karin and the Surinamese inhabitants of Amsterdam were looking for, which turned out to be a species of Xanthosoma. My conversation with Karin ranged far and wide, and to tell the truth I never did ask whether pom was Jewish or Creole. Most sources say it is indeed Jewish. The whole question of Jews in Suriname sent me scurrying to the search engines, to discover that starting in the 17th century there was indeed an attempt to establish an autonomous Jewish territory there, on the Jewish savanna. This I gotta read more about. And having found that, I rushed to Claudia Roden’s The Book of Jewish Food, only to be massively disappointed that neither pom nor Suriname feature in the index. The big photo is of purple-stemmed Colocasia, which I took at Longwood Gardens. As promised, a recipe for pom. You’ll have to find your own pomtajer. Karin has written on Cooking Pom and other edible aroids.